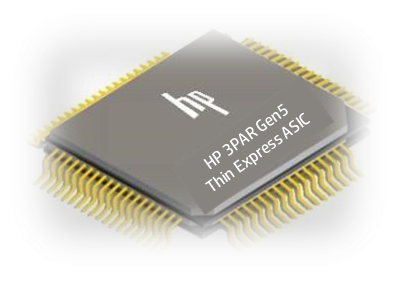 A great article appeared in The Register recently previewing the HPE 3PAR GEN 6 ASIC. It sparked my interest as it not only gave some clues to the direction of 3PAR but reminded me that I hadn’t written a post yet covering the ASIC. So this is a post of two halves, the first covering the background and architectural importance of the ASIC followed by a summary of the GEN 6 news and what clues it may give us to the future. I have heard HPE staff describe 3PAR’s ASIC as its secret sauce many times, what is for certain is that it’s right at the heat of its architecture. Let’s start at the beginning, an ASIC stands for Application Specific Integrated Circuit, this describes quite succinctly what it is – an integrated circuit which has been customised for a specific use. As an ASIC is hardware based having this at the heart of your architecture is not a decision to be taken likely, since you need to design it not only to deliver the features you require today but for the life cycle of that model i.e. 5+ years. 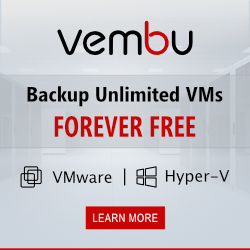 Software based vendors have long argued that their approach is simpler and does not require the skill of predicting the future, if you need a new feature write it in. When I have been lucky enough to meet the 3PAR development team they have said on a number of occasions that they always consider the future of the ASIC in each new generation, but that so far they still believe that the ASIC is the best design for now and moving into the future. Do take the time to check out the excellent full article on The Register.